Primary care physicians can help empower their patients when it comes to Afib screenings. 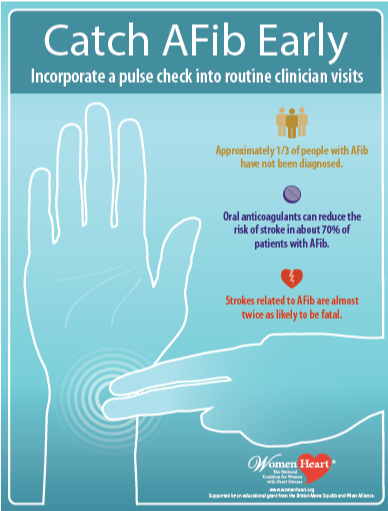 Patients should know that all they have to do is simply ask their doctor to check their pulse. Here is a helpful resource that you can provide to patients who visit your office. True. Early detection saves lives. Ask your doctor to check your pulse whenever you visit them.